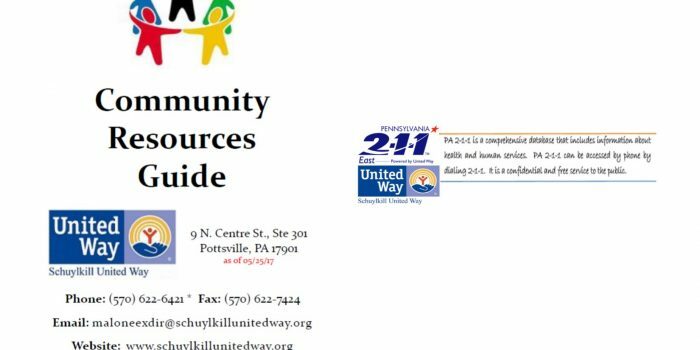 PA 2-1-1 & Community Resource Guides Available in Schuylkill County! Pennsylvania 2-1-1 East is a free, confidential, non-emergency, comprehensive information and referral service that connects Berks, Lancaster, Lehigh, Northampton, and Schuylkill county residents with the health and human services they need. You can reach 2-1-1 by calling 2-1-1 or 855-501-6785. 2-1-1 is not intended for emergency use. If you have an emergency, call 9-1-1. 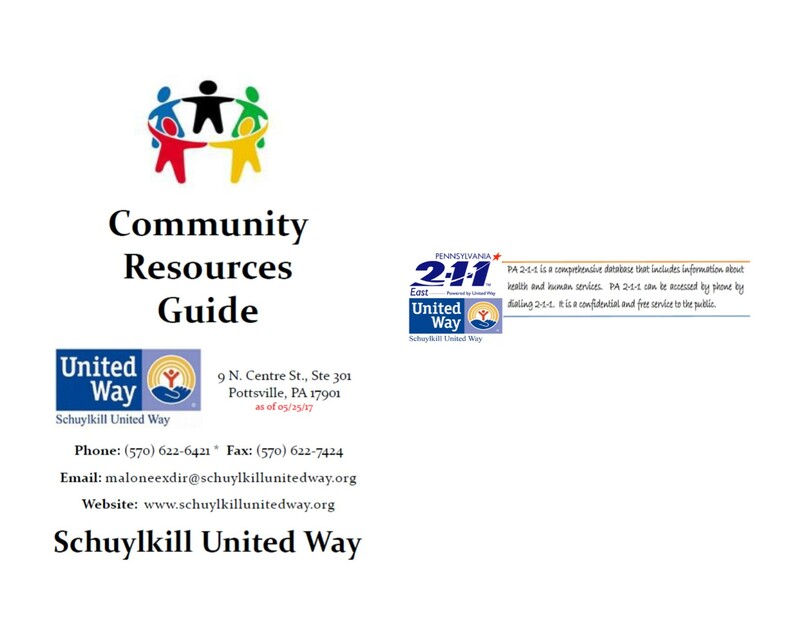 We also have Community Resource Guides available here on our website (see below link) or if needed, we have hard copies available.